I am so delighted to have the opportunity to speak to you today. I appreciate the opportunity to speak to professionals and parents who are willing to listen to a non-verbal person. Often I experience the opposite, and I get to listen to the professionals trying to explain to me what I am like. Then I get to wonder how they know. The problem with this, for many non-verbal people, is that because so many cannot communicate what they think, they are unable to express when they disagree. Their thoughts remain trapped inside because the neurological connections don’t work as they should. The thoughts are there, but they can’t come out. They stay stuck behind a body that is not responding. This may be really different from what you have learned in college, especially if you studied in certain programs that perhaps taught you that people like me have a receptive language disorder, a social skills deficiency — meaning I can’t understand human behavior– a lack of theory of mind or empathy, and perhaps even cognitive delay. After all, that’s what data and science prove, right? And that’s what everyone assumed about me when I was younger, before I could communicate. So, these theories may not be totally accurate in my case, or maybe many are totally inaccurate in my case, and perhaps in many, many other people’s cases, but that doesn’t stop the theories. In science, theories are supposed to change if new data emerges. When Barry Marshall tried to show that stomach ulcers were caused by a bacteria, not stress as everyone believed, he hit a brick wall of scientific opposition and was discredited as a “crazy guy saying crazy things.” Twenty years later he won the Nobel Prize in Medicine and doctors now treat ulcers with antibiotics, not antacids. But it was a hard fight for 20 years. This is why it is really a credit to the Autism Society to give me this opportunity to be heard and to you for being open to having some of your ideas about severe autism challenged. In the beginning, when I was seven and I first began communicating, my entire ABA team dismissed my being able to communicate sophisticated thoughts as impossible because according to their data I had not mastered all their drills. Also, they insisted I had to communicate with everyone equally or my communication wasn’t scientifically valid. I think they hoped I would spontaneously erupt in song and dance in between my drills. My elementary school teacher thought that I didn’t know what a number was because I couldn’t coordinate my hands to pick up the number of straws she instructed. Every day for years I got a remedial education in school when inside my head I was multiplying and dividing and reading. It’s clear to me why they assumed I didn’t understand. All my mistakes were a confirmation to them of my internal delays. But there is a big neurological misunderstanding in their logical idea. Getting answers wrong doesn’t always mean you don’t understand. Sometimes it means you can’t get your body to obey your mind. When a person with Tourettes yells out an offensive word, it is not because they want to and don’t understand right from wrong. It is the opposite. The mind is pleading to stop and the body charges forward. The key idea I want to convey is that my form of autism is like this: my brain is not slow or impaired linguistically. I do not talk, not because I do not understand. I don’t talk because I don’t gesture because I don’t have facial expressions because I can’t hold my book to read it because I can’t turn the pages because I can’t scan a shelf because I can’t pull a blanket on in my bed. Why do people assume that I can’t do these things because I don’t understand or because I am not cognitively aware of my surroundings? It is a theory that has trapped me and countless others in lessons that bore us to the point of despair, and a school education of calendar, the weather, and 1 + 1, and ABC, year after year. I suggest that you try to imagine another cause for the deficits that isn’t based on intelligence or language processing. What do you think could cause my delays, explain my troubles controlling myself in sitting still, or controlling my emotional equilibrium? What could cause me to flap my hands when I want to be still? If you try to imagine that you are totally paralyzed but can still think, it’s a scary thought. Imagine that the paralysis includes your ability to speak. How will anyone know that you are intact inside? It would be very hard to show. This is the story told in the film, “The Diving Bell and the Butterfly”. It is the true story of a man who had a severe stroke. He had the most severe kind of stroke which causes a paralysis called locked-in syndrome. No one knew he could think because he had no ability to show that he could think. His mind was active but everyone assumed his brain was dead. Then a perceptive nurse figured out that he was trying to communicate by blinking his eyes. He wrote an entire book by blinking as she pointed to letters on a letter board. Now, my condition isn’t as severe as that because I can move, but I have to tell you, it is not that different. My body moves, but it doesn’t always move the way I like. It moves how it wants, or it moves part of the way I want, or, if I am lucky, it listens to me. I would describe this as a moving paralysis. It is frustrating to a high degree. It is frustrating all by itself without the additional frustration of being thought to be receptive language impaired and low functioning and bored in toddler programs by nice, well-meaning people. It is time to revisit our diagnosis of autism and time to change our way of helping severely autistic, non-verbal people. Now, I know what I say is different from many professional opinions which state that I am at the end of a spectrum opposite Asperger’s Syndrome — or what was formerly known as Asperger’s –in the DSM. But in a spectrum we are the same, different only by degree. Temple Grandin is probably the best known person at the other side of the spectrum from me. She is an important spokesperson for autism. She has described herself as being a visual thinker. One of her books is called, “Thinking in Pictures.” She is pretty good at independent body control. She drives, rides horses, designs complicated engineering systems, and holds a pencil to write and graph neatly with no help, because her body listens to her mind. She has social problems because people and their behavior and ways of interacting confuse her. 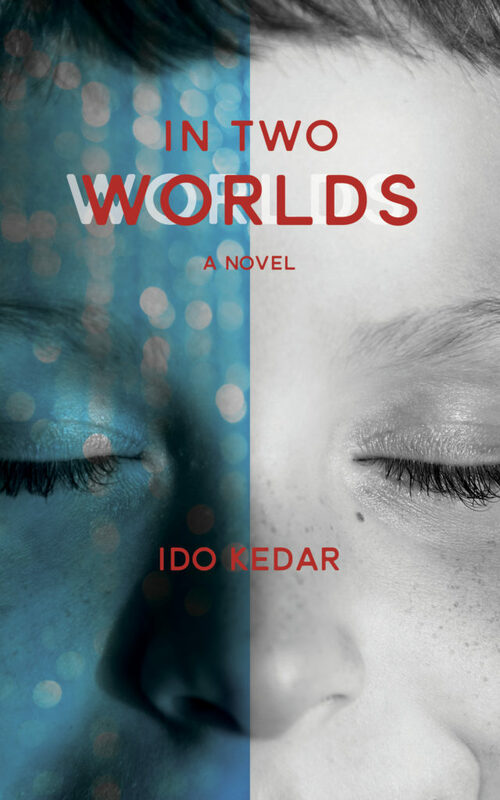 She told Oliver Sacks that she feels like “an anthropologist on Mars,” trying to understand alien, human behavior. I wonder if you think I am the same, just really, really severe? We do have eye contact impairment in common. But a lot of what she describes is the opposite of me. I have insight. I have theory of mind. I have empathy. I get jokes. I think in letters and spelling, not pictures. I can’t control my body’s movements, write or graph neatly, and I need constant help to do normal everyday tasks. In the search for a cure, or to find the most effective treatments, we have to see things the right way. I mean Aids and head colds both are viruses, but no Aids researchers try to find a cure for Aids by exclusively focusing on the sniffles. They know they are different, not polar ends of a virus spectrum. What I have in common with people with Asperger’s is a sensitive sensory system, poor eye contact and shyness. But people who are out of shape, and people with asthma, and people with heart disease, and some people with cancer all may experience shortness of breath but that doesn’t give them a Breathless Spectrum Disorder. It is important that the DSM not miss the differences. I believe there may be different, discrete types of autism. I don’t claim to understand every form of autism at all, but I do claim to understand mine and the differences between me and what people compare me to. What I believe that severely autistic people, like me, need is instruction in communication early—teach typing or communication by pointing to letters on a letter board. Non-verbal people need special methods to do this. They cannot break through on their own. In my case, I was helped by working with Soma and RPM. This opened my world. Others may be helped by her techniques as well, or there are different methods that have also had success. The key was that she presumed I was intelligent and offered me grade level lessons right away, and I rose to the challenge. She did not wait for me to type before teaching me interesting topics. This is important because her methods helped me to focus and break through my internal and external distractions. Her support helped keep me on track, to scan, to look at all the letters and to touch the one I wanted. And all at the fast pace of my racing mind. If we are denied the support that makes this breakthrough possible, it often fails to occur. The danger is that then people misinterpret poor performance as a reflection of cognitive capacity, rather than as a need for a different kind of support or teaching. Another important treatment is that we need exercise to wake up our mind-body connection. So many autistic people never exercise, which is disastrous in a body that doesn’t listen to our minds. We also need access to a normal education. Smart, trapped people need support to emerge from their internal prison. Assume intelligence and look for the signs of it. I think a lot of kids would be grateful if you spoke to them normally. A lot would be grateful to get grade level lessons in school, or listen to interesting books in school, even if they cannot yet show on the outside what they think on the inside. Together we can begin to change things for the most misunderstood form of autism. Since I was asked to talk about the future, I want to begin by saying that I hope for the same future that any 16 year old boy would want. My hopes include college and career and a girlfriend one day. The whole thing. Am I frightened that I will never get to achieve the things I want? Very, very, very. The support I get now dries up after high school. My aide needs to be exceptional. And trained. It takes time to develop a common rapport. Not everyone is a good match. If I get an aide who isn’t too bright—sorry, it’s blunt, but true—or isn’t intuitive, or is not flexible, it all collapses. Bad aides are the worst, because people think I am getting help because I have someone with me, but the fact is that the wrong help keeps me trapped. I need the right kind of support to succeed in high school, and I will need the same to go to college and to work in a career. If I can’t get this, what then? I will have to depend on my mom to support me. As my courses get more advanced, my aide has to be not only good at helping me control my behavior, keeping me focused, and skilled in communication, but also someone who is comfortable in higher math, or literature, or whatever subject I am taking. This is far different from a babysitter. My hope is to have at least several hours daily of properly trained support after high school so I can learn and work, and make my own way in the world. I fear getting stuck with someone who is not well trained for my intellectual or communicative needs. I am “low functioning” in independence, but “high functioning” in intellectual ability, which means that I will need lots of support to go to college or work, but with the right support I can achieve at a high level. Stephen Hawking has a pretty good aide who helps him to achieve at the fullness of his capacity, despite severe disabilities. There are programs today that simply don’t know how to deal with people like me. They divide autistic people into groups of either practically independent, or “low functioning” and remedial. How will the system adapt to people like me, as more of us emerge? Do you have any ideas? My ideal future would be to work every day part-time as an autism consultant, to write every day on autism and other topics, and to earn my living this way. Exercise has become important to my life. I need it daily to help my body/mind connection continue to improve itself. Somehow, any future programs will need to include some way to help me get connected with friends. My autism is very isolating. The assumption that I am not interested in people is way off. My problem is that I get overwhelmed in crowds, noise, and visually over stimulating environments. Since I cannot talk, socializing requires an iPad, effort to type—which is slower than talking by a lot—and an aide to keep me focused. This makes socializing hard, but not impossible. I hope any programs for the future think of the social needs of people with these kinds of challenges. How will the system help me to find an Annie Sullivan? The concept is old. Helen Keller stayed disabled all her life, but she got terrific and intelligent helpers, so she was able to thrive, and she inspires people to this day. But if she had not? I want to let you know that speaking before a large audience is very anxiety provoking for me. I may need to step out at times. Answering questions before an audience is very stressful, so I have a film for you of me answering many frequently asked questions. If my body is calm, I will try to answer some questions today, however, if you are interested, my book, which is on sale outside, should answer most of your questions. I describe in detail my journey into communication, my early remedial education, and my current general education in a regular high school. I also describe many puzzling autism symptoms which I try to explain from the inside out. I talk about how it is possible to understand correctly and get the answer wrong. I explain stimming, impulsivity, motor issues, anxiety and many other aspects of severe autism. There is an interesting conversation at the end between me and the neuro-researcher who wrote the foreword of the book about my internal language and other issues. You can also check out my blog idoinautismland.com. 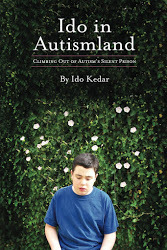 You can also follow me on facebook or twitter at idoinautismland. Thank you to the Autism Society for inviting me to speak with all of you today. I appreciate this important opportunity. I am grateful to the audience for your patience with my iPad monotone. I also appreciate your willingness to be challenged by an outspoken, silent guy.